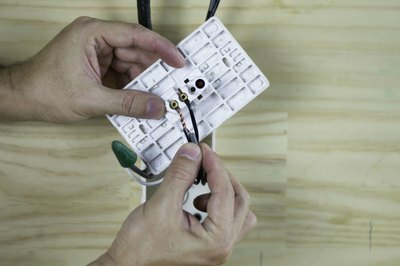 Adding an outlet from a light switch is easy, and it takes just a few dollars and a couple hours to do. Before working with any electrical circuits, make sure the electricity is turned off. If you know which breaker in your electrical panel serves that circuit, then switch it off. If you don’t know which one it is, turn them off one at a time until the light operated by the switch goes off. Then lock the panel so no one can turn it back on while you work. Assemble all the parts you need before you start working. You'll need a receptacle -- the electrical outlet itself. They come in 15 amp and 20 amp. I suggest using a 20 amp outlet, so you won‘t have to worry about the amperage of the items you plug into it. 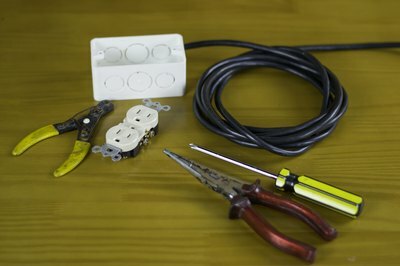 You'll need a 2-by-4-inch electrical box to mount your outlet into, an outlet cover, and enough wire to run from your switch box to your receptacle box. The wires should be black, white and green, and should be 12-gauge wire to handle the 20 amp rating. Mount your outlet box where you want it and run your wires from the switch box to the outlet box. Be sure to leave about 4-5 inches of wire hanging out of each box. Strip the insulation off the ends of your wires. About half an inch of bare wire should be sufficient to make a good connection. On the receptacle, you will find a green screw on one end. At the receptacle box, take your green wire and connect it to the green screw. Then connect your black wire to one side of the outlet and the white wire to the other. Normally, the white wire is connected to the shiny screw and the black wire is connected to the dark screw. You can now screw down the receptacle into the box and secure the cover on it. In your switch box, you will see two white wires joined with a wire connector. Just unscrew the connector, add the white wire from your receptacle and screw them all back together. The switch will have two black wires connected to it. One goes to the lights, and one goes to your electrical panel. 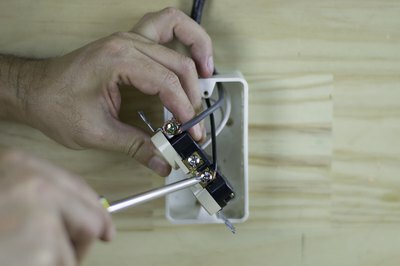 You want to connect your receptacle’s black wire to the same screw as the wire that goes to your electrical panel, so that your outlet always has power. (If you attach it to the other black wire, the outlet will only be powered when the switch is on.) Push the switch back into the box and secure it, then replace the switch cover. You can now turn your breaker back on. You’re done, and you can use the new outlet. 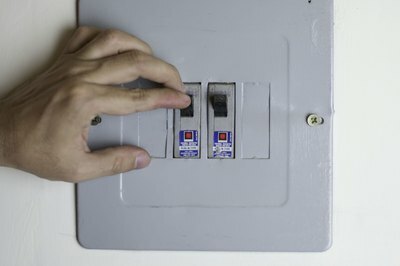 Why Does One of My Circuit Breakers Keep Popping?